FOR SALE. Rare development opportunity to purchase a large 87120 sq.ft. lot of land on high traffic popular route in North Billerica. Terrific opportunity for a national tenant or build to suit. Existing business operation in place. Please do not disturb tenants. Call agent/broker for more details. FOR SALE. Rare development opportunity to purchase a large 62857 sq.ft. 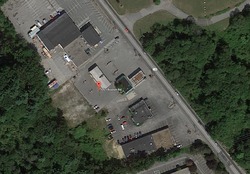 lot of land on high traffic popular route in North Billerica. Terrific opportunity for a national tenant or build to suit. Existing business operation in place. Please do not disturb tenants. Call agent/broker for more details. Sun-filled home, offering three bedrooms, on a leafy, quiet side-street in a prime location within a preferred Huron Village neighborhood! This spacious and well-maintained home is convenient to major roadways, public transportation systems, including the Red Line T at Porter and Harvard Squares, numerous restaurant and shopping venues, several parks and Fresh Pond Reservoir. This sun-filled property would welcome your updating and offers hardwood oak flooring, detailed woodwork trim, stairway to large 3rd floor attic with expansion potential, updated utility systems, full basement with approximately 7'-5" ceiling height, private yard, garden area and ample two-car driveway parking. Great opportunity to remodel and enjoy an exceptional city living location within Cambridge's unique cultural, academic & business community. Prime East Arlington location with convenience to Cambridge and the Red Line T (Less than 1 mile to Alewife). Entire top floor office space available in a smartly styled and professionally managed building, in exceptional location on a corridor of Massachusetts Ave. between Lake Street and Alewife. Laid out as 4 office spaces (1 room captured) with waiting area and private bathroom. CAT 5e / CAT 6 network capability throughout the building, on-site parking, buzzer system and professional cleaning of common areas. Available April 1st. Easy access to Rt. 16, Rt. 2, I-95 (Rt. 128) and public transportation to Harvard Sq. & Boston. Quiet building with many long term tenants. Prime East Arlington location with convenience to Cambridge and the Red Line T (Less than 1 mile to Alewife). Top floor office space available in a smartly styled and professionally managed building, in exceptional location on a corridor of Massachusetts Ave. between Lake Street and Alewife. Sunny, front facing office1 room captured) with bathroom on level. CAT 5e / CAT 6 network capability throughout the building, on-site parking, buzzer system and professional cleaning of common areas. Available April 1st. Easy access to Rt. 16, Rt. 2, I-95 (Rt. 128) and public transportation to Harvard Sq. & Boston. Electricity included! Quiet building with many long term tenants.